2 KG Black Forest cake contains of several layers of chocolate cake, with whipped cream , the cake is decorated with additional whipped cream, maraschino cherries, and chocolate shavings. Send this delicious cake to the one you loved.Tantalize the taste buds of your loved one with our exclusive Black Forest Cake. Our delectable Black Forest Cake is a real delight and is made of layers and layers of chocolate cake and fresh whipped cream. Lots of whipped cream has also been used in decorating the cake along with maraschino cherries and rich chocolate shavings. 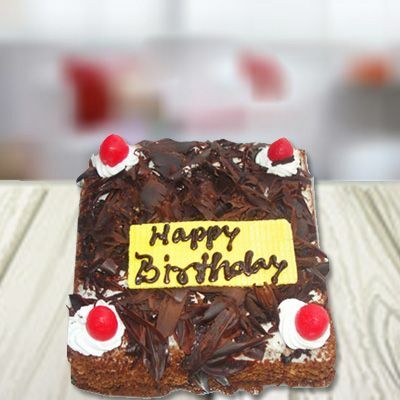 You can send cake online on any occasion to make the event all the more special. Our Black Forest Cake is suitable for weddings, anniversary, birthday, graduation day and other joyous occasions. We make home deliveries and offer midnight delivery service as well. 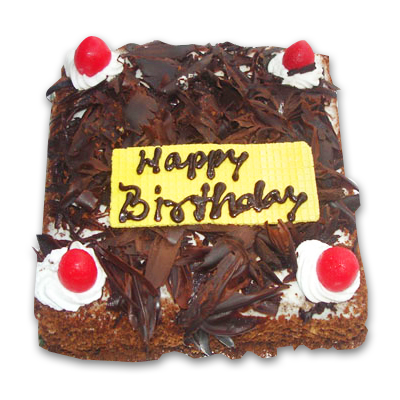 The Black Forest Cake can also be sent as a token of appreciation and affection.